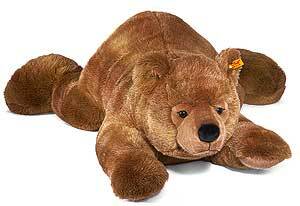 Steiff URS Large Brown Bear 069635. Made of cuddly soft brown woven fur, surface washable, Size 120cm. This is one big bear!